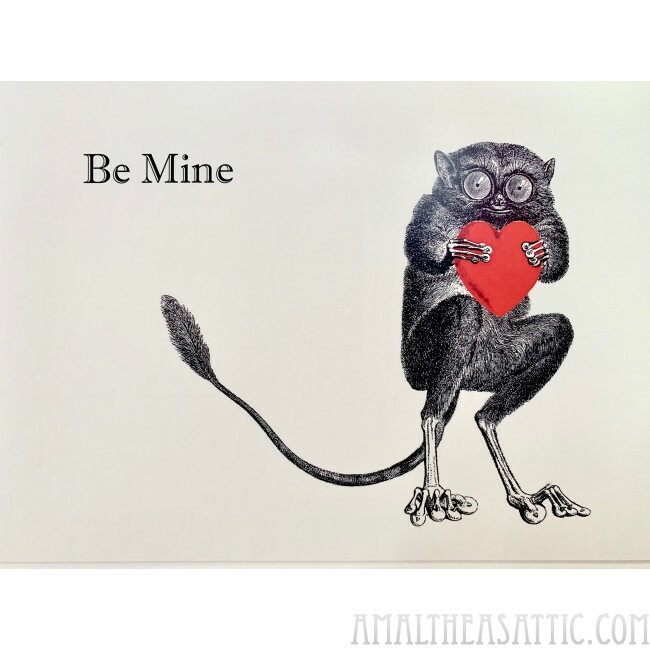 Who can resist a little tarsier offering you his heart? 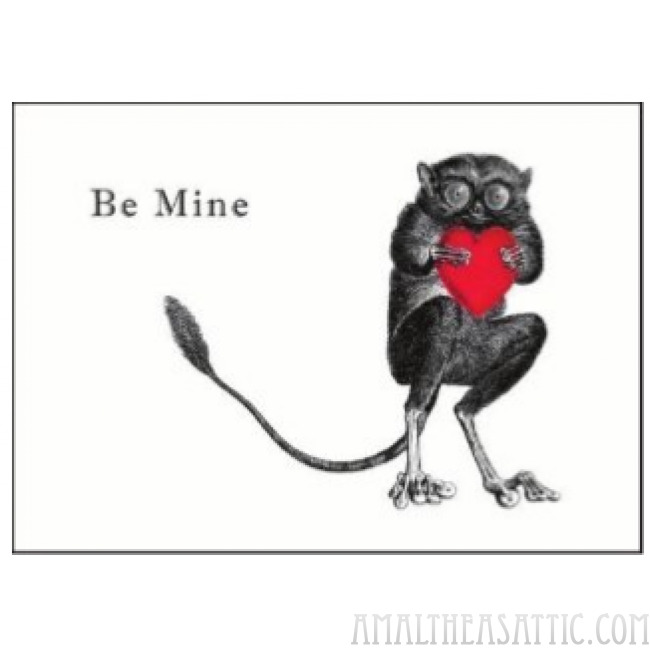 Great for Valentine's, or any other day, this guy will win their hearts. Blank inside so you can say what's on your mind.